That’s the way you are building your business. Everything you use to represent it must be heartfelt. Along with your other marketing materials (website, business cards, letterhead, etc.) your promotional brochures also need to be heartfelt. Know why you’re doing it: Make sure you can answer the question—why am I even considering a brochure? Make sure you know your objective. Is it for a trade show? Are you planning on doing a mailing with it? Is it a selling piece, informative or a bit of both? This will make a difference in how the brochure will be designed. Think about the readers: Decide the message you want to impart to your readers. It might be the mission statement, features, benefits, contact info, a QR code. Does it have a website url, call to action, special offer, etc. 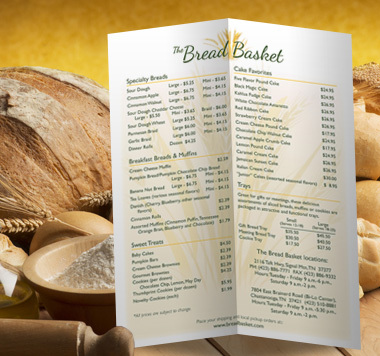 Decide on the type of brochure: Will your customers and prospects be most comfortable flipping through a bi-fold, tri-fold or small booklet? Determine the best vehicle for them to receive your message. Create compelling brochure copy: This is often undervalued and/or overlooked component of a powerful brochure. Snappy headlines, action verbs, descriptive adjectives and avoiding clichés will grab the reader’s attention and draw them into what the brochure is saying. Align with all of your branding: Consider all of your other marketing collateral including your website when you’re pondering a brochure. You want all of your marketing material to be aligned in design, copy and purpose. This includes using your logo, and maybe even copy that is present elsewhere. As if that’s not enough to think about, the next step is to find a good graphic designer who can produce the proper display for your branding, make it authentic and let the readers know it comes from your heart. Think WIIFM (What’s in it for me?). Not for you but for your readers. Go to Word, select new, click on available templates, then click on brochures and booklets. This will give you some ideas about brochure types. Enter lists of action verbs on Google. Examples of action verbs will show up on Google Images. 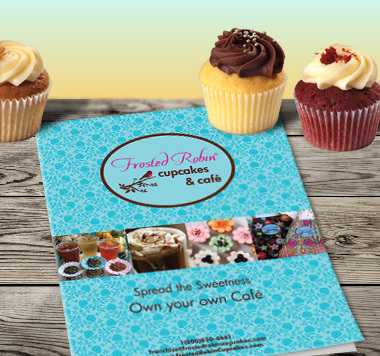 Review your current marketing material to see what can be reused or re-purposed in your brochure. Search for a graphic designer, maybe even one in your town that you can collaborate with. If you don’t have time, ask a high school or college kid who loves being on the computer (that’s 99% of them).